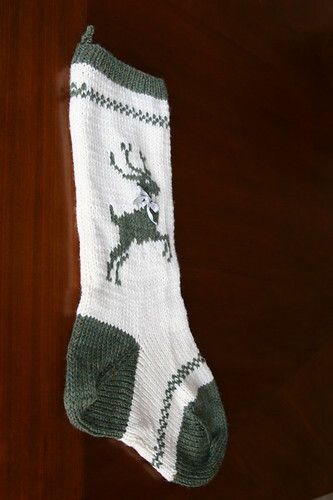 Notes:The construction of this stocking was like the Christmas tree stocking. 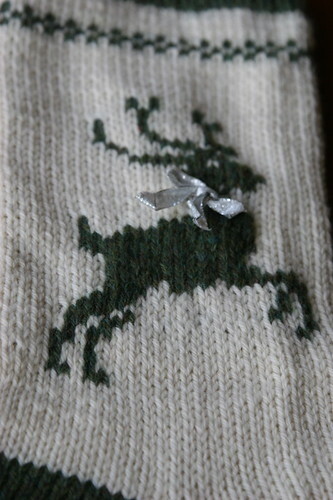 The reindeer motif was from a DROPS Sweater. I really liked how interesting and dynamic this reindeer looked to me compared to some of the other charts available. I did think the little white spots on its underside looked a bit odd, though, so I modified that part a little. The last little detail is a silver ribbon tied around the neck.